In an age of unyielding appetite for all things Trump, big news travels fast. So when BuzzFeed News reported on Thursday that the president had instructed his lawyer, Michael D. Cohen, to lie in his testimony to Congress — a felony — the assertion ricocheted around the cable TV ecosystem and into the halls of Congress, where Democratic lawmakers publicly mused on impeachment. Unlike past articles on the possible ties between Donald J. Trump’s presidential campaign and Russia, however, this one was not followed by similar stories from other news organizations, who proved unable to corroborate its findings with reporting of their own. And on Friday, the office of the special counsel, Robert S. Mueller III, broke precedent by issuing a denial, interrupting nearly 20 months of silence from Mr. Mueller on news reports swirling around his investigation. Whether BuzzFeed’s reporting can stand up to further scrutiny is now at the center of a test of the news media’s credibility. President Trump seized on the special counsel’s denial to continue making the case that the press is biased against him. Journalists expressed the worry that a retraction could undermine Americans’ trust in their work. The episode underscored the risks and temptations that go with reporting on the legal labyrinth of Mr. Mueller’s investigation, the outcome of which may help determine the fate of Mr. Trump’s presidency. Mr. Cormier and his co-writer, Jason Leopold, have written well-received investigative articles on Mr. Trump and a Moscow tower project that involved President Vladimir Putin of Russia. The latest piece, though, was more dramatic in reporting that Mr. Trump had instructed Mr. Cohen to lie to Congress about the Moscow project and that Mr. Mueller’s office was aware of this conduct. 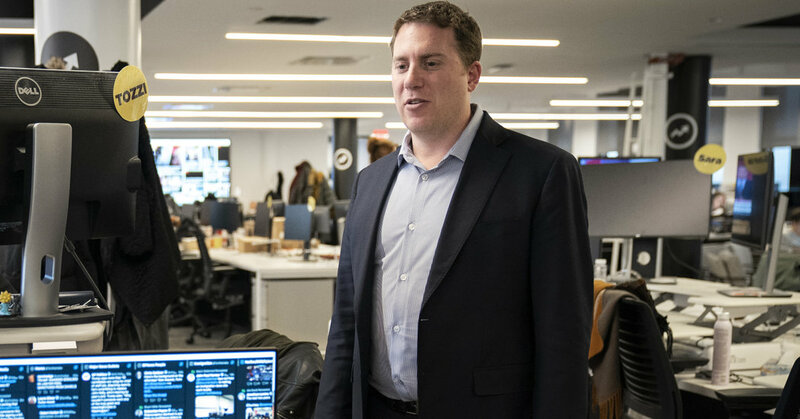 BuzzFeed News, the reporting division of a website better known for viral videos and quizzes, has scrambled for respect and recognition since its founding eight years ago. Under the direction of Mr. Smith, a longtime political journalist, the site has pursued ambitious stories. Last year it was a Pulitzer Prize finalist for an inquiry into the deaths of Russians in England, which Mr. Leopold worked on. BuzzFeed’s longtime investigative editor, Mark Schoofs, left in August for an academic post at the University of Southern California. His replacement, Heidi Blake, who is based in London, edited the Cohen piece, along with Mr. Smith and Ariel Kaminer, a senior investigations editor, both of whom are based in New York. This is not the site’s first brush with controversy. In January 2017, Mr. Smith was the first editor to publish the explosive, but unverified, dossier compiled by the former British intelligence officer Christopher Steele during the 2016 campaign. Besides earning ire from the White House, and some scolding from media ethicists, the site was also sued for libel by Mr. Cohen in a case that was later dropped. Last month, a federal judge ruled in favor of BuzzFeed in a separate dossier-related lawsuit. Mr. Leopold, who is based in Los Angeles and known for his mastery of Freedom of Information laws, has a self-described “checkered past” in journalism that includes retracted reporting and accusations of plagiarism. In 2006, he reported for TruthOut.org, a liberal website, that Karl Rove, a senior adviser to then-president George W. Bush, would soon be indicted; the story proved false. Mr. Leopold has also spoken openly about his recovery from addiction. Asked about Mr. Leopold’s past, Mr. Smith pointed to his Pulitzer Prize nomination last year. The contentiousness over the recent BuzzFeed article is unlikely to abate soon. One side effect of the BuzzFeed article was that it made for a rare moment of agreement between the president and the man who has been investigating him. Previous PostPrevious #10YearChallenge: Harmless Trend or Boon to Facial Recognition Technology? Next PostNext Wall St. Is Making a Comeback. Was It Something the Fed Said?